Dr. Raul Gonzalez has a focused expression in Buttock Reshaping . Since 1985 have been publishing about fat grafting and body contour, mainly about gluteal remodeling. He wrote the first book about gluteal surgery: “Buttocks Reshaping”. This book has been translated in several languages as Spanish, Portuguese, Korean Italian and so on. 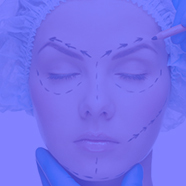 By this pioneering work on this area and his great and recognized experience, he has been invited to participate in hundreds of aesthetic surgery congresses all over the world. He is an associated professor of UNAERP University in Ribeirao Preto (Sao Paulo). Had his training in Plastic Surgery with Dr. Roger Mouly in Paris and Ivo Pitanguy in Rio de Janeiro. Buttocks reshaping: fat or implant? How to do the implant?